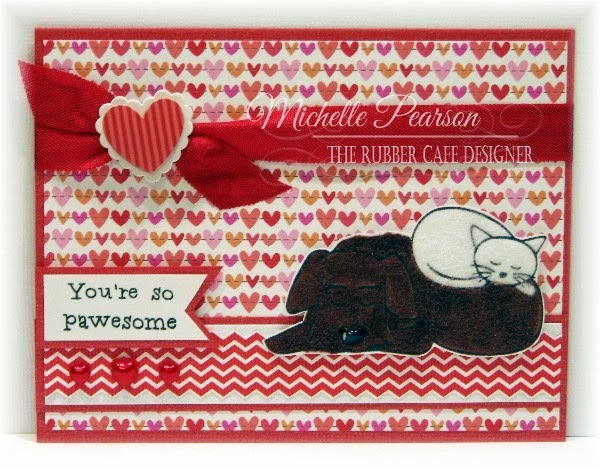 The Rubber Cafe Design Team Blog: You're so Pawsome! Eeps! I can't stop flocking these sweet little critters from The Rubber Cafe's Love, The Most Wonderful Feeling Creative Cafe Kit! This week I stamped the critters on white cardstock and then colored the dog brown with a copic marker. (E44) I then covered the pup with Scrap Happy Sheer Glue using the Detailing Kit, being careful to avoid the lines of the image and added the Bow Wow Brown Flock. I repeated the process on the kitty with White Socks Flock. 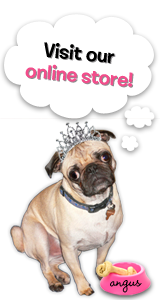 I fussy cut the image and then added a touch of sparkle to the pup's nose for a fun textural detail. I made a border by fussy cutting one of the papers included in the kit Added a banner and a few gems to ground my image. I added a cardboard sticker from the kit over a ribbon as my only other embellishment. Papers, Ribbon, Pearls, Cardboard Sticker, Stamps: Love, The Most Wonderful Feeling Creative Cafe Kit!